We’ve all heard the old adage – Cleanliness is next to Godliness. But is it true? Sure, a clean desk and organized file cabinet make things easy for the next person that has to come in, but is it worth it? A different way of looking at this problem, or opportunity depending on how you slice it, is to boil things down to dollars and time spent. Now more than ever, with our increasing demands at work and always increasing productivity rates, we need to find better and more efficient ways to complete daily tasks. This is why is so important to take care of your work station and to adhere to general tidiness. A cluttered workplace increases the risk of hazards and requires more input to get things done. When looking for that bundle of printer paper when the printer is out, or trying to navigate through a maze of cords to find which one runs to your monitor, people often curse the last person that left things in such a mess. Taking the time to correct these problems usually means time taken out of your day. Cleanliness can be pervasive across the whole organization. Whether you have 5 people in a small office, or 500 in a large corporate setting, being Godly with your attention to cleanliness will pay dividends… daily. It goes without saying that if you’re sick you don’t want spread it around the office. However, many illnesses are contagious before they present obvious symptoms. By the time you realize you’re sick the damage is already done. Cold and flu season spreads through the office and it usually happens right before tight deadlines. The conditions that create an unkempt office can also lead to the spread of germs and the flu or a cold. An alarming statistic to note is that for every one person that is sick at the office, 50% of employees can be infected within four hours. Not exactly the news a manager or supervisor would like to hear, especially when half their staff end up with reduced productivity. The good news is that not everyone has to constantly be on their guard to keep the workplace clean. 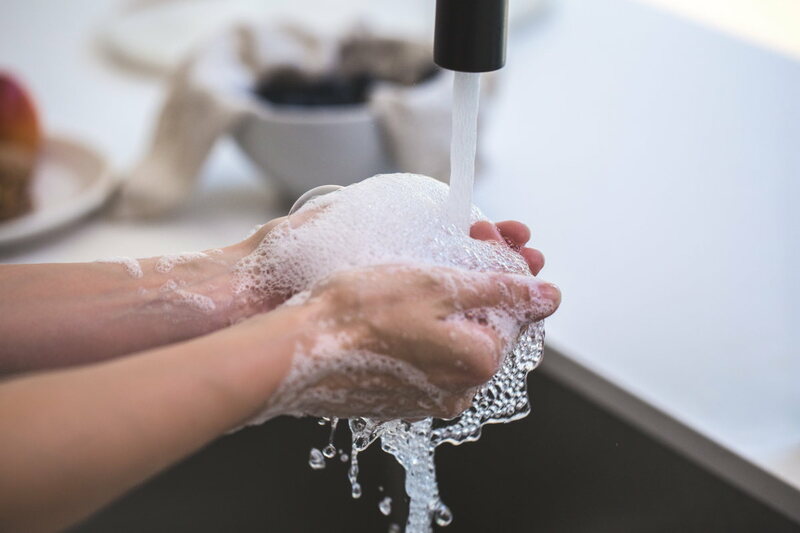 Common areas like kitchen and staff rooms can be cleaned on rotation, with a simple sheet above the sink or on the fridge designating which group of employees are responsible for that week, month, or for any time frame that works best. Simple routine changes can have lasting effects and can open employees minds up to the importance of a clean office. Not Interested in Cleaning Your Own Common Areas? It wouldn’t be right for us to talk about the benefit of clean common areas without mentioning that we do that for you! Our cleaning staff will take care of your place and deliver you a consistent picture-perfect result. What else have you come to expect from us? Want to learn more? Get in touch: Calgary, Edmonton. So rather than being overly obsessed about a clean desk, know that some things are out of your control and that your best course of action is to reduce any simple distractions as soon as possible. Again, a simple routine is easiest to follow and one that helps everyone at the workplace. We’d love to help you enjoy a clean office without worrying about who’s doing the cleaning. Let us help!